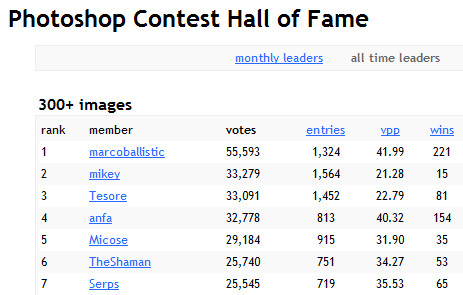 Congratulations, Tesore, for passing Anfa for 3rd place on the all-times chart for received votes. Does this mean we get to chop the chopper chick? Whow... I never look @ that! But now I did and I love Anfa's scores a lot more hahaha. And did someone say "drinks"? Thanks Paul and Anfa... yes drinks!!! Dedication! Going for the all time entry record next? Dedication! Owww that sound so much better than 'chop junk'! This is Fantastic! I was looking at Tesore's profile the other day and thought about starting a thread on it too. I didn't think to look at where she was in the Hall of Fame. WOW!!! Paola, we should be the ones buying you the drinks! Congratulations on your outstanding work and dedication at !!! Way to go Tes, the reign of terror continues. I'm so glad nobody mention the fact that I needed 1,452 chops, lol. Thanks my friends, much appreciated! even if it could speak, it could not pronounce the word lasagna. Congrats Paola! You'll take the top spot soon! ...and a nice person too. Hahaha... thanks! Wish you would chop more, I'm a big fan!! !